The QSC KLA Series brings the power and sophistication of a line array system into an easy-to-use product significantly redefining the line array product category. With its simple Lift, Click and Play approach, KLA can be deployed in a fraction of the time required by comparable line array products. The QSC KLA12 active line array speaker system makes it as easy as possible for you to bring mighty sound reinforcement to big indoor and outdoor spaces. KLA active speakers are the answer, in applications where traditional PA powered speakers are no longer sufficient to move the necessary air and volume. 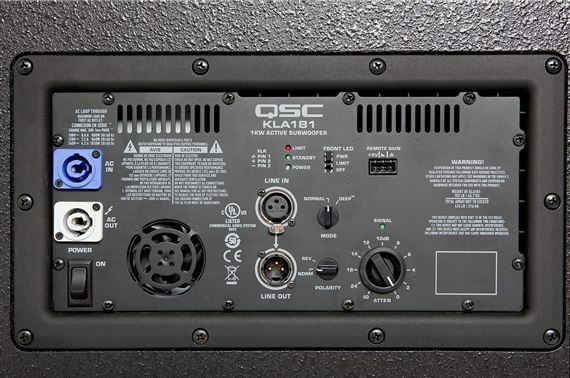 The QSC KLA181 Subwoofer features the DEEP(tm) DSP algorithm, GuardRail(tm), Auto Standby, balanced line-level XLR input with an XLR "Thru" connector, Attenuation Control and LED indicators. 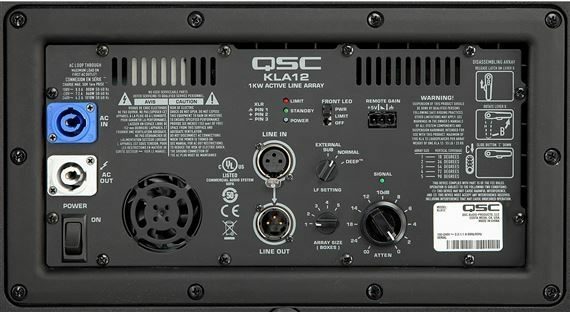 The KLA181 subwoofer also includes a polarity switch for low frequency directivity control. KLA12 enclosures also feature the Tilt-Direct(tm) 35mm pole socket allowing the loudspeaker to be aimed downward 9* for the best audience coverage. KLA loudspeakers incorporate QSC's DEEP DSP algorithm - providing extended bass response by actively managing potentially damaging low-frequency transients - and GuardRail circuitry protection which prevents the amplifier module from unnatural and destructive clipping.